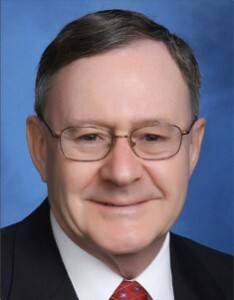 Gary M. Galton is the founder of Accord Mediation, a dispute resolution firm. After more than 30 years in the private practice of law, Gary believes that mediation is an effective resource for managing conflict. His expertise is in business and commercial law, employment and labor relations, real property, insurance, personal injury, probate and estate law, HOA cases and Tribal Law. Mr. Galton is admitted to practice law before the Oregon and Washington Supreme Courts, U.S. District Court for the District of Oregon and the U.S. Court of Appeals for the Ninth Circuit. He was graduated from the University of Oregon with a B.S. Degree and the University of Oregon School of Law with a J.D. Degree. He endowed the Appropriate Dispute Resolution Program at the University of Oregon School of Law and served on its Advisory Board. Mr. Galton was appointed to the Commercial, Labor, Employment Benefits and Mediation Panels of the American Arbitration Association. He fulfilled the requirements of the Dispute Resolution and Mediation Course of Riverside County and was the Coordinator of Mediation Program at the Palm Springs Courthouse. He is a member of the Mediation Panel of the National Association of Security Dealers (“NASD”). He completed the Advanced Mediation Skills Training at the Straus Institute of Pepperdine University School of Law. Mr. Galton is the Administrator of the First Friday Settlement Conference Program for the civil judges at the Courthouse in Palm Springs. He has been appointed Special Master, Discovery Referee and Judge Pro Tern to conduct Mandatory and Voluntary Settlement Conferences. He has been retained for consulting projects by the City of Rancho Mirage, College of the Desert, the COD Foundation and the Palm Springs Regional Board of Realtors. Gary is married and enjoys tennis, traveling and investing. He was selected to be in the inaugural class of Leadership Coachella Valley and was President of its Alumni Association . His community service includes being Chief Financial Officer of the Medical Research Foundation of the Eisenhower Desert Orthopedic Center and a member of the Board of Directors of the Family YMCA of the Desert and past member of church and law school advisory boards. Gary M. Galton is the founder of Accord Mediation, a dispute resolution firm. After more than 30 years in private practice of law, Gary believes that mediation is an effective resource for managing conflict.